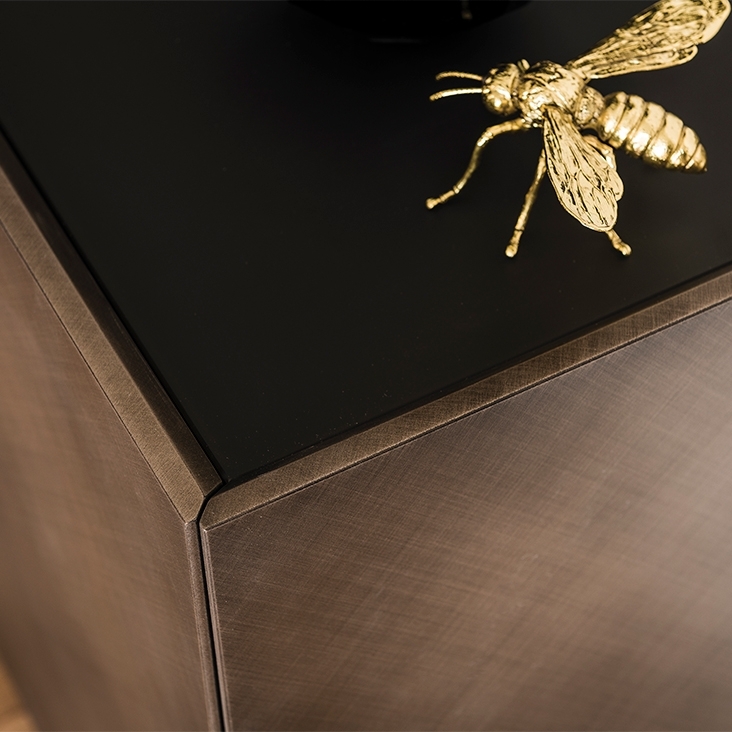 A piece of furniture of great charm, presented at the Salone del Mobile 2018 by Cattelan: the sideboard Arizona. Four doors, one size and two heights, the Arizona sideboard amazes and furnishes. The painted steel feet are clearly visible, its doors are in Brushed Bronze, the top is in graphite painted glass and the internal shelves are also graphite but in wood: materials of excellent quality. 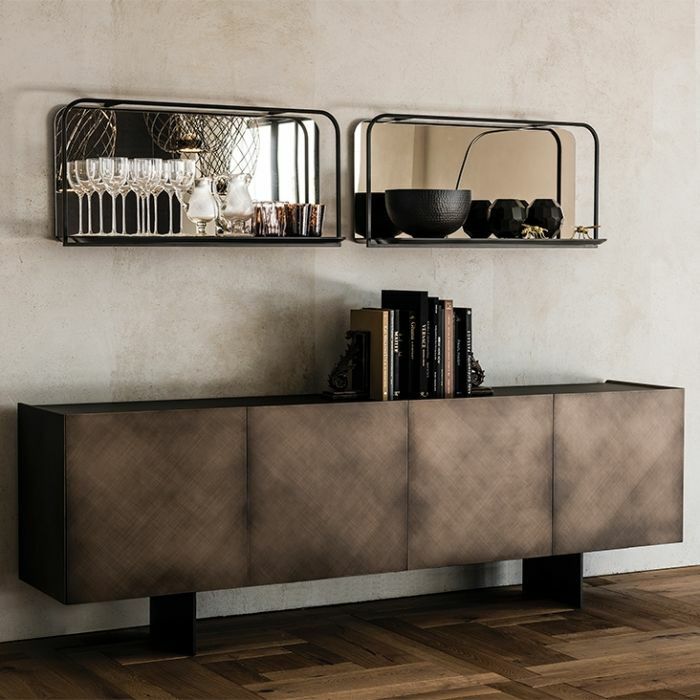 Arizona, a great Made in Italy by Cattelan.